Prospectiuni SA, Romania author (Prospectiuni SA) Licnse: all rights reserved. BUCHAREST (Romania), May 4 (SeeNews) - As global oil prices remain unstable and loopholes in Romania's legislation lead to project delays, big foreign investors may opt to pull out of the country, a senior official of Bucharest-based geophysical services provider Prospectiuni said. "Losses were recorded around the world, not only in Romania. The biggest risk or loss we fear now in Romania is investment leaving the country," Prospectiuni COO Marius Mitroi told SeeNews on the sidelines of the SEE Upstream 2016 conference in Bucharest last week. Lack of predictability is one of the biggest problems facing the local oil industry, as project delays are usually caused by legislative ambiguities regarding environmental issues or controversial land ownership. Increasingly often since 2013 the operations of oil companies, including seismic surveys, are perceived as a threat to the local community, he added. In his view, the law should provide for unrestricted access to land for seismic operations, as any compensation for damages should be paid upon the completion of works. "Once a complaint is submitted, works are halted immediately. Then comes an indefinite period of trials and appeals, which affects deadlines," the official added. "Money will not wait, it moves on if works are delayed for too long." The procedure of obtaining a permit is complicated and excessively long, which raises costs considerably, he added. On April 6, a Romanian court has approved a request by Prospectiuni to enter insolvency and has appointed Euro Insol as its special administrator, Euro Insol. Due to the collapse of oil prices in international markets, the company posted 26 million lei ($6.6 million/5.8 million euro) loss on a turnover of 192 million lei in 2015, down 38% from the previous year. In addition, Prospectiuni ended last year with 97 million lei in debts to banks, the fisc and employees. Since June 2014, oil prices have fallen more than 70% to $39 per barrel. 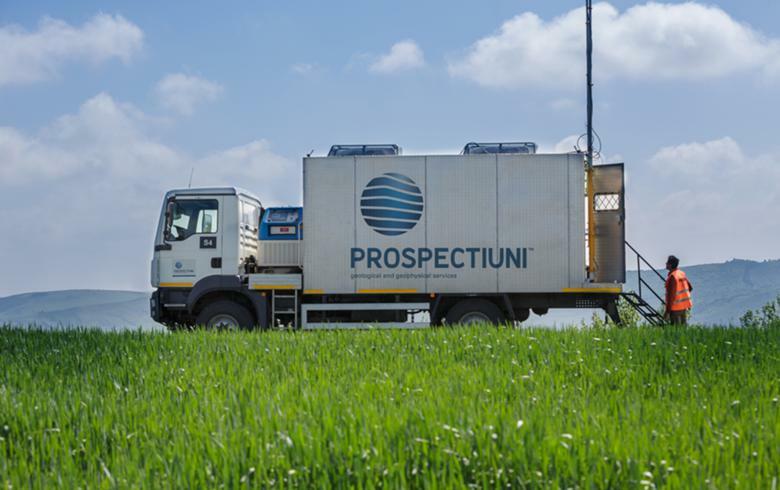 Prospectiuni, founded in 1950, is owned by businessman Ovidiu Tender with a 55.7% stake and SIF Muntenia investment fund with 11.8%. The remainder is listed on the Bucharest Stock Exchange, BVB. The company was trading on BVB's alternative system AeRO but was suspended from trade due to the opening of the insolvency procedure. The company provides geological services and geophysical data acquisition for the oil and gas industry, both in Romania and abroad, in countries such as Iraq, Libya, Iran, Tajikistan, Bulgaria, Portugal, Albania, Morocco, Georgia and Senegal. Currently, it has over 750 employees.